This is an important video about the mentality of sports players. MMA fighters are known for their mental strength and composure as much as their graceful footwork in the ring. If you were ever wondering what exactly is going on in their mind, read below for six of the tactics they use to win fights. You must have a real belief that you are going to win and that you are a best. It’s all mental so play a mental game with yourself. Make yourself believe. First, you must believe that you are going to win in order to win. Once your mind believes, visualize yourself winning. These two connected will lead you towards success. To accept losing, does not mean giving up or giving in. In fact, it is the opposite of that. It is recognizing fear and rejecting that fear of failure. You must be able to accept that losing is possible. Do not give fear power over you. If you do lose, you have to remember that tomorrow is a new day and a new day for another fight. Losing a fight is an opportunity to improve and continue to grow. Failure is something most do not plan because they fail to plan. We’ve all heard it, but if you want to be great at anything, you have to put in the time and dedication. Then, you can trust yourself, your training, and your hard work to help you complete your goal. Mixed martial arts is a sport that encourages you to completely invest in yourself. When you enter into a fight, your mind must be focused while trusting in your training. Don’t stand in your own way and allow yourself to compete how you have envisioned yourself to do. Let yourself go into the motions you have practice for your fight. Frenetic energy and turmoil may surround you, but you need views yourself as the center of a tornado. Endure and keep calm. Center yourself with confidence and grace. When it comes to longevity and a lasting career, it comes down to commitment. Commit yourself to a cause and you will reap the benefits. Those who run at the first sign of struggle are never heard of again. If you carry on, you are preparing yourself for greatness. Check out this video for some basic MMA skills and techniques to work on if you’re a beginner. Have fun and stay safe! In this day and age of MMA fighting, a true competitor seeks a rigorous mental edge that doesn’t let them down when distractions can take hold. Competitors such as Jorge Gurgel and St. Pierre know that distractions may arise and throw off a whole game and they want to fight as well as they’ve trained. 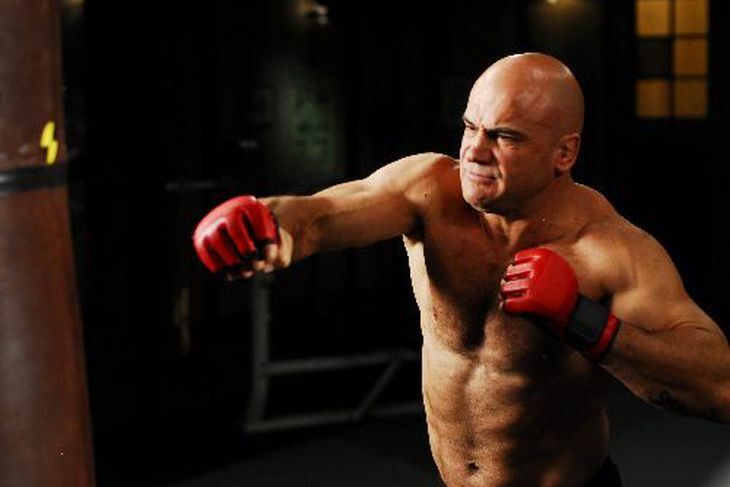 Cain reminds us that “the mind controls the body.” Cain helps MMA fighters explore and grow their mental toughness by removing any negative thoughts that hold an athlete back from performing at the top of their game. This negativity could be a product from previous, traditional sports conditioning, and requires anything from hypnosis, to energy medicine and meditation. Cain says removing insecurity from the competitor at the subconscious level eliminates doubt and fear that may have cause a self-sabotaging situation. He also states a point that all of us could use: In order for us to get rid of negative, self-sabotaging thoughts, we need to remove anything from our minds but the now. MMA fighters are always looking to sharpen their skills and develop mental toughness. This is a fight that never stops – one with the subconscious mind. Brian Cain hopes to see more training associated with this type of approach designed to help competitors maintain their highest performance – mentally. The goal is to fight as good during the fight as one does in training. A fierce competitor, Ronda Rousey represents one of the strongest presences in MMA. A champion of the octagon, Rousey has faced blackbelts, olympic gold medalists, and professional fighters the world over. This Saturday, though, Bethe Correia of Brazil is prepared to dethrone her. Accepting the challenge, Ronda is set to enter the enemy territory of Rio de Janeiro, and defend her well-earned title. Unafraid of showing her soft side, Rousey is known for being welcoming and supportive of her fanbase. Whether entertaining requests for group photos and signatures, or scooping up a boy who rushed into her training session for a hug, Ronda Rousey epitomizes the fighting celebrity. Ready to defend her title against any challenger, Bethe Correia included, Rousey meets every challenge with a powerful fist and positive attitude. The reigning champ and fearless fighter, Ronda Rousey is more than a pair of gloves in the ring, she is an inspiration to thousands around the globe. Answering the call of those looking for a riveting MMA match, and the outcry for a positive and powerful female role model, Ronda Rousey is champion in and out of the ring. MMA (Mixed Martial Arts) is a modern phenomenon. Exploding on the scene with a flurry of feet and fists, people were floored by the intense matches and no-holds-barred method of fighting. These modern day gladiators clash in arenas packed with thousands of screaming fans, all eagerly awaiting the fulfillment of one promise. At the end of a match, one man will have his hand in the air, and the other will be face down on the mat. But how did all of this begin? Who rung the bell on what would become a billion-dollar franchise? Two casino moguls from the deserts of Las Vegas can be credited for throwing the first punch, and giving birth to MMA. The brainchild of Frank and Lorenzo Fertitta, MMA started humbly as the UFC or Ultimate Fighting Championship. While wandering the crowd on Super Bowl eve, Lorenzo took it upon himself to visit the VIP booths and meet the crowds this new sport was drawing. Much to his surprise, famous names and highrollers packed the boxes, all enjoying the spectacle of two men fighting it out in an octagon lined with chain-link fence. The brutality of the match bringing the audience to their feet in cheers of triumphant glee. Each fighter, bruised beyond recognition by fists wrapped in 5-ounce fingerless gloves, had shown the world that boxing was nothing more than flag-football by comparison. Though initially decried as human cockfighting, the numbers spoke for themselves. Over 10,000 spectators packed the stadium paying $340 a ticket, while another 500,000 paid upwards of $50 to watch from the comfort of their own home. Nine fights, one night, and $25 million in revenue definitively proved that this sport was a real knockout. Today, the UFC and MMA as a whole have become an unstoppable machine. With billions of dollars in yearly revenue, and over 250 fighters officially employed by the UFC, there is no shortage of combat or combatants. With pay-per-view purchases neighboring the millions annually, and growing exponentially every year, MMA is here to stay. In a small town in Massachusetts, the local high school offers Mixed Martial Arts as a club for it’s students. It all began with a senior at Winchester high school who began campaigning for the program since he was a freshman. In-Goo Kwak has had a passion for MMA since he was a child and wanted to create an outlet for students who weren’t necessarily interested in traditional sports. After much deliberation from the school board, he MMA club at Winchester high school has nearly two dozen participants today. At a recent class, Kwak arranged for a guest instructor to come in and offer some inspiration as well as world-class MMA skills. Marcelo Siquiera, a martial arts center owner and manager in nearby Somerville, was a national karate campion in Brazil. He has a black belt in Brazilian Jujitsu and studied at the famous Chute Boxe mixed martial arts academy in Curitiba, Brazil. “A lot of people think it’s too aggressive or violent,” Says Siquiera. “But after a while, they see different perspective. He says that the club offers an opportunity for a healthy aggression output for students, in a safe environment designed just for that. Siquiera spoke passionate about the self-discipline and strength involved with being a fighter. In the early 1990s, mixed martial arts as illegal in nearly every state in the country. Today, things prove to be a little bit different as it is now considered an arena for serious athletes. In order to succeed, a fighter must be smiled in four seaprate combat sports – boxing, kick-boxing, wrestling, and submission grappling – and be able to pull technique from each discipline. His goal was also to create a Mixed Martial Arts community of clubs to have other clubs to compete with. Kwok plans to stay involved even after he graduates, as the potential is there for the community he always dreamed of.